Prague, May 28, 2015 — Colliers International today released its newest Research & Forecast Report pertaining to Q1 2015 in the Czech Republic. The report, which covers the investment, office, and industrial markets in Prague and throughout the Czech Republic, provides both summaries and analyses of developments in the last quarter, and also looks ahead to the future. Q1 2015 proved to be the busiest first quarter since the financial crisis, seeing the close of €760 million of transactions—a continuation of the trend of the last couple years of sustained growth in investment volumes. The retail sector played the largest role—occupying a 91% share of investment transactions—owing largely to the sale of the Palladium retail and office complex in central Prague to Union Investments for a total of €570 million. The sale of Palladium was the largest single asset transaction ever closed in the Czech Republic. Two other transactions contributed to the high grossing numbers, namely Peakside’s acquisition of a diversified retail portfolio from Atrium European Real Estate for €69.50 million, and the purchase of the Campus Square shopping centre in Brno by funds managed by CBRE Global Investors for €50 million. The average transaction in Q1 amounted to €108.6 million; however, disregarding the Palladium deal, the average transaction volume drops to €31.7 million: this number is in line with long-term trends, though below the 2014 average of €48 million. In the future, we forecast that the retail sector will continue to attract large amounts of capital throughout Prague and the Czech Republic. “We expect continued demand for the logistics sector, and that offices will remain a target asset class with many investors. We also forecast that investor demand will be dominated by large international groups, mainly from Germany and Austria as we have seen in the past, but also from groups from Western Europe and from both the U.S. and Asia. 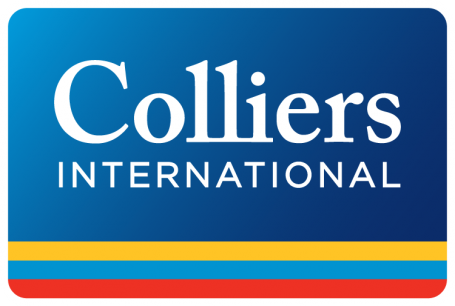 As we saw in Q1 2015, we expect that the retail assets to prove popular this year, while we predict that the logistics sector will be heavily influenced by whether certain transactions close or not and the office sector at the prime end will be constrained by the lack of product,” said Chris Sheils, Director of Investment, Colliers International Czech Republic. The total office stock in Prague in Q1 2015 stood at 3.06 million m2, seeing the completion of two new office buildings totaling 34,500 m2. Only 670 m2 of the newly completed 29,900 m2 Metronom in Prague 5 and the 4,700 m2 Meteor C in Prague 8 was pre-leased upon opening. A few notable projects launched this quarter were the Classic 7 III (6,300 m2) in Prague 7, Park Radlice (6,400 m2) in Prague 5, and City Deco (13,200 m2) in Prague 4. The vacancy rate continued to rise, passing the 17% mark in Q1; the total vacant space in Prague amounted to 521,800 m2, an increase of 151,900 m2 year-on-year. Q1 also saw a higher gross take-up in a year-on-year comparison, at 70,800 m2. Net take-up saw an increase of 41% year-on-year at 20,770 m2—accounting for a 20% share of Q1 demand. The IT sector was the most active in Q1 (25%), followed by Manufacturing (18%), and Finance (13%). Prime rents have finally stabilized, after being under pressure for some time—in the CBD, they ranged from €18.50 to 19.50/m2/month. Inner city rents decreased by around €1 to €14.50-€16.00/m2/month, while the outer city range remained the same at €13.00-€14.50/m2/month. The citywide average slightly decreased to €13.20/m2/month. In Q1 2015, three new industrial buildings totaling 39,900 m2 were completed, the vast majority of which (31,000 m2) was developed on a speculative basis. Two of these halls were constructed in Prague, and one in Ostrava. Total modern industrial stock stood at 5.15 million m2. Prague has the highest percentage of this stock at 40%, while the South Moravia region ranks second and the Pilsen region third. The vacancy rate declined overall in the Czech Republic from 421,800 m2 to 402,500 m2 in Q1, now standing at 7.82%, while in Prague the total amount of vacant space increased slightly to 164,300 m2, or 8.04%, owing to the completion of a 29,900 m2 speculative hall by Prologis. Q1 vacancies in the Pilsen region stood at 77,600 m2, and at 55,000 m2 in South Moravia. 93% of the 399,000 m2 of space that was under construction at the close of the quarter was being custom-built for tenants, which is in line with the long-term trend. Gross take-up was 5-13% lower than in the equivalent quarter of the previous two years, reaching 238,100 m2; though this still represents a busy leasing market. Most activity continued to come in the form of net take-up, reaching 190,900 m2 in Q1, a 40% jump year-on-year. The manufacturing sector, being led by automotive companies, once again became the main driver of demand, accounting for 64% of total net take-up. The logistics sector contributed 23% of all new space leased. The largest lease of the quarter was concluded with a French manufacturing company for a custom-built premises at VGP Park Pilsen (21,800 m2). There were no major swings to report in rents for Grade A warehouse space in Q1. Headline rents in the regions for a five year term ranged between €3.60-€3.90/m2/month in Prague, €3.70-€4.00/m2/month in Pilsen, €3.70-€3.85/m2/month in Ostrava, and €3.85-€4.25/m2/month in Brno. “We expect that gross take-up in 2015 could amount to 1 million m2, as there are several known large pre-lease requirements being negotiated at the moment across the country. Major developers are rumored to be eyeing up smaller sized existing industrial parks with the aim of expanding their portfolios. We can also expect to see incidences of speculative development on the rise as industrial developers continue to acquire additional land,” said Robert Bocker, Head of Industrial Agency at Colliers International Czech Republic.